30% of the entire web uses WordPress — a figure that rises every day! Still need some convincing? You’re at the right place! 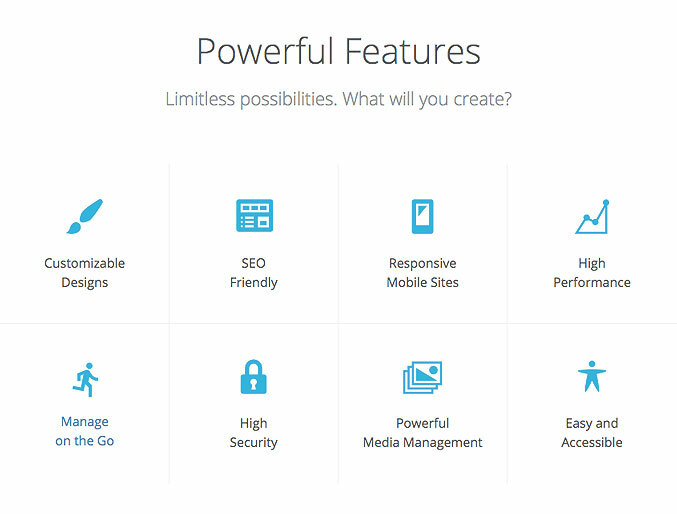 Here are 7 reasons why we say WordPress is the best website CMS platform for businesses. Let’s go! WordPress does not limit you in any way. Whenever you have a new feature in mind you would like to add to your website, it’s usually just one plugin away. This means you don’t need to spend much time or money coding from scratch. It’s also very easy to add and configure these plugins. WordPress comes packed full of features for every user, for every other feature there’s a plugin directory with thousands of plugins. Add complex galleries, social networking, forums, social media widgets, spam protection, calendars, fine-tune controls for search engine optimization, and forms. With WordPress, your website can get a complete makeover within a short period. Of course, depending on the size of your website, this can range from a couple of minutes to days (or weeks), but however long, it’s still faster than most CMS platforms. For instance, at DUKEWEBS, we either create custom-made WordPress themes or customize premium ‘ready-made’ themes. The latter is usually faster, but the approach depends on the project goals. If your website is built on WordPress, the advanced theming feature of the platform enables you redesign your website without having to re-upload your content. Sweet! Even though the entire look and feel of your website will change, your content does not get messed up. How great is that? …there’s a theme directory with thousands of themes for you to create a beautiful website. None of those to your taste? Upload your own theme with the click of a button. It only takes a few seconds for you to give your website a complete makeover. Unlike may other CMS platforms out there, WordPress doesn’t require a lot of technical skills or experience to use. Here at DUKEWEBS, once we’ve built a website for a business, after a short training, clients that have never used WordPress before are able to start managing their websites right away. The WordPress software and most plugins are completely free. If you are not willing to learn how to build websites yourself, you may still need to pay a web designer or an agency like DUKEWEBS, but even at that, the cost here cannot be compared to that of coding a website from scratch. Also, in terms of hosting, you do not need a super-expensive server. For most basic websites, cheap ‘shared hosting’ plans are good enough. WordPress is built to be search engine friendly. If you know us well at DUKEWEBS, you know we love SEO. What’s the point having a website for your business that isn’t search engine friendly? 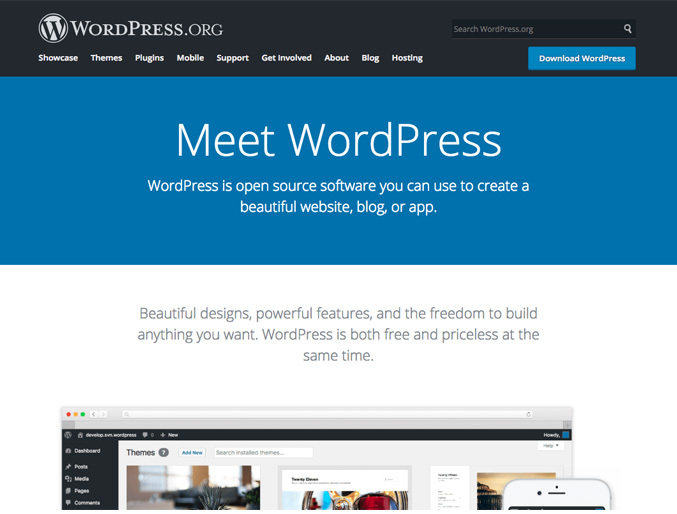 WordPress started as a publishing platform. While it has grown over the years to become a much more sophisticated software, it still has great strengths for content publishing. WordPress makes it very easy to share news, updates and blog articles (like this one). WordPress also comes loaded with a powerful commenting system, so you can get feedback from your audience… and who doesn’t love feedback? One drawback to the use of WordPress is security. Due to its popularity, it is a target for hackers and spammers. WordPress however combats this issue actively by constantly releasing updates to address vulnerabilities and further secure the platform. To take advantage of the security updates, WordPress enables you update your software version easily, just at the click of a button. There’s even an option for automatic updates! Best Website CMS = WordPress! Are you interested in discussing how we can help you with Web Design & Digital Marketing? Contact Us today. Do you have questions or comments concerning WordPress? Feel free to leave a reply below.